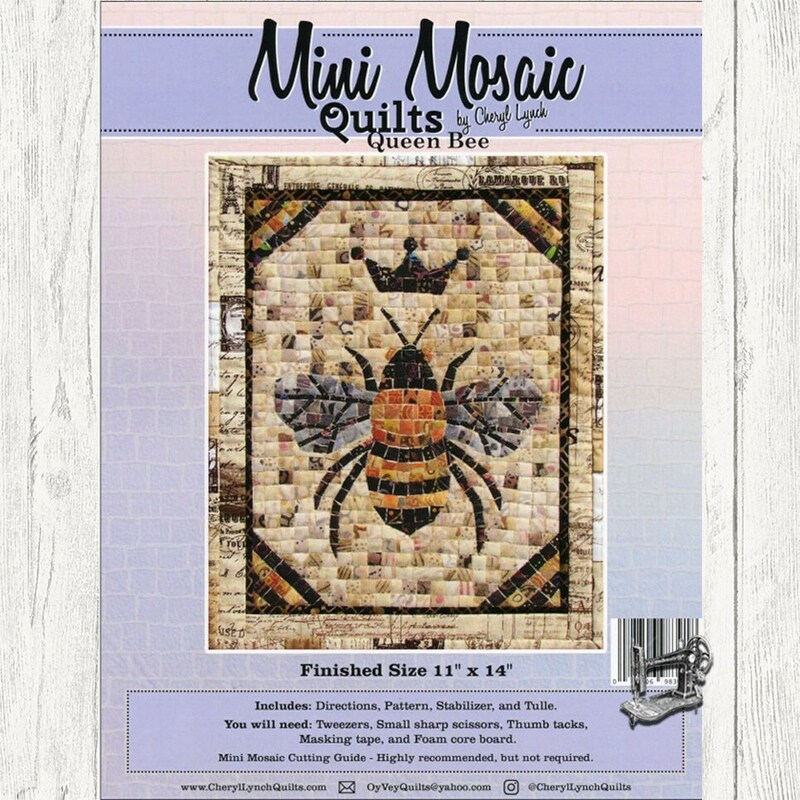 Included in the package is the pattern, directions, sticky stabilizer, netting & a suggested fabric color guide. 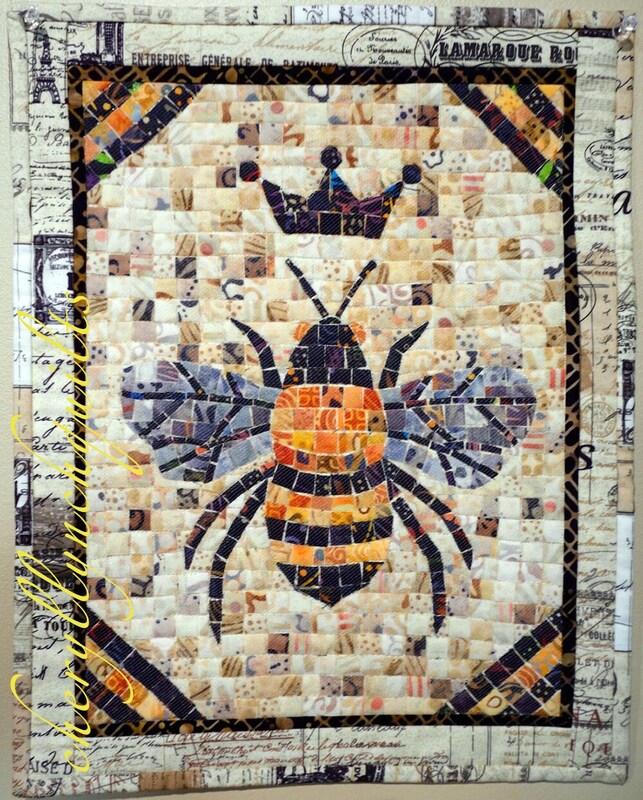 The Queen Bee Mini Mosaic Quilt is created using a low sew technique. 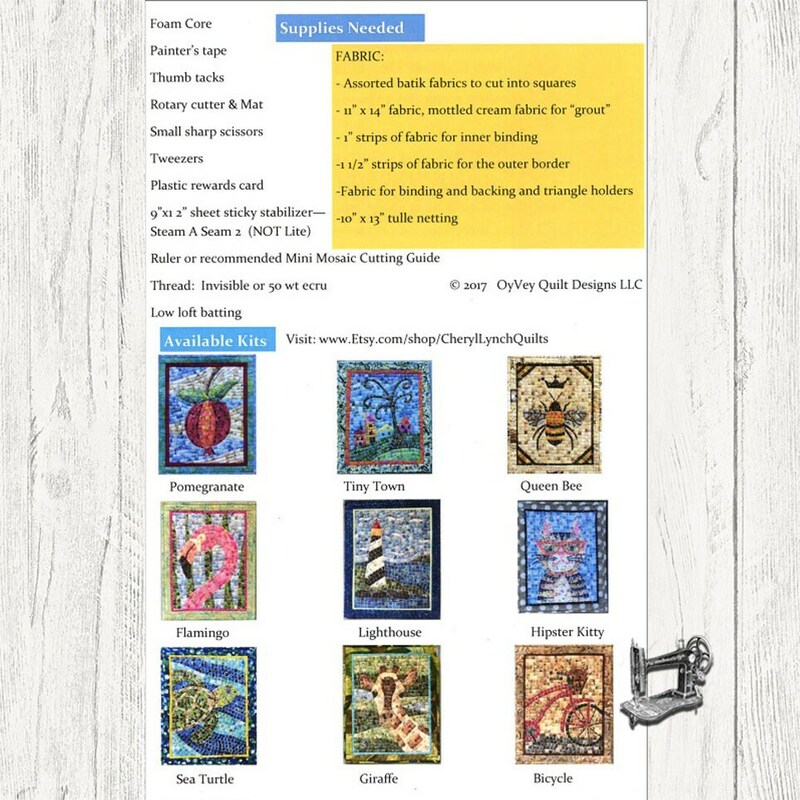 Pattern contains instructions to create a quilt from 3/8 inch batik squares.